With the pre-owned car industry becoming organized and stable, it is an opportunity for the first time buyers to explore new models, terrific design and amazing technology in one car. Buying a used luxury car is convenient and affordable than buying a new one. Though, you always need to check on the authenticity of the car dealer. Just keep your eyes open and evaluate all the factors before buying your valuable asset. 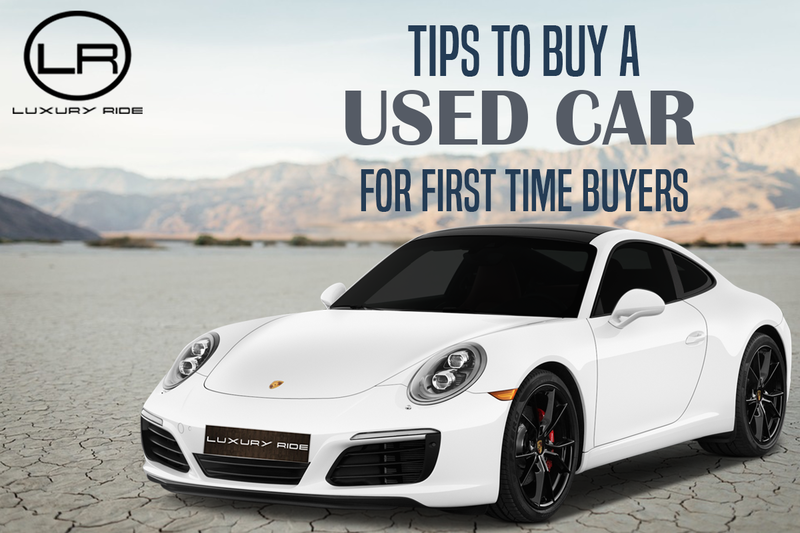 Here are few quick tips for all those who are new to this industry and wish to have a pleasant experience in buying a pre-owned luxury car. The best thing about owning a used car is its low cost and quality assurance. Sometimes, the maintenance cost is also included for a particular time frame. The pre-owned car industry is well known for its simple mantra “More for less is always good”. If you are constrained by budget and want to live your dream of buying a BIGG car, then reach a certified pre-owned car dealer. There’s always a thin line between truth and lie. Similarly, car dealers in this industry can also be differentiated as a certified pre-owned cars dealers and non-certified dealers. You may get your pre-owned car from a certified dealer at a higher cost compared to a non-certified dealer. But a car from certified pre-owned dealer will come with a warranty, certification, buy back schemes and few days replacement guaranteed. Luxury Ride is serving the pre-owned car industry with its exclusive used luxury cars that speaks about the quality and reliability in its own. The company has been delivering the world-class services and gaining the trust of their customers with their ultimate quality control system and timely delivery process. A luxury car talks a lot about itself. The most crucial step is revalidating the car’s history, mileage numbers and the important documents. The distance travelled also plays a vital role in making the purchase a worthy one. If the age of pre-owned luxury car is beyond 3 years then making a purchase will not be beneficial and this may cause issues while booking for insurance. The feel of the vehicle can be the focal point in deciding the worthiness of the pre-owned car. It’s simply important to take up the driving experience before giving a final go-ahead. You can understand various factors such as height of the seat, steering feel and wheel adjustment. Also, we suggest you to spend at least half-n-hour with your preferred car you wish to buy. If you are a first time buyer who wishes to make an intelligent investment then follow the above ground rules and get ready to negotiate for your dream car. You may get some additional discounts from a certified pre-owned car dealer like Luxury Ride. Let’s seal this beneficial deal and give you an ultimate driving feel.